Little Rock, AR– The 21 Arkansas Republican Women Legislators announced that they have officially formed the Arkansas Republican Women’s Legislative Caucus (RWLC). 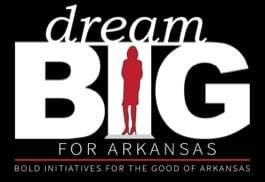 Members of the RWLC will focus their efforts on a legislative package which contains ‘Bold Initiatives for the Good of Arkansas, as part of their ‘Dream B.I.G. Arkansas’ campaign. The initial legislative package includes bills that will assist Arkansas’s families and will move the needle. These bills include improving access to cancer treatment and research for Arkansans; training teachers and provision of structured literacy curricula based on brain science for our public schools; increasing rural broadband deployment and access; expanding childcare accessibility for working families through increased entrepreneurship; and reforming juvenile justice. The purpose of the caucus’s initial package is to make a game-changing mark on Arkansas. Little Rock, AR - Vice President Mike Pence will make his first official visit to Little Rock, Arkansas March the 24th. Those wishing to attend have been directed to park 1000 East Roosevelt Road. Oklahoma - With the 2017 legislative session having come to a close, groups working to increase educational options for Oklahoma students are celebrating significant policy victories. Robert Ruiz, President of ChoiceMatters for Kids, says that despite a difficult budget year marked by partisan gridlock, legislators managed to work together on two key bills that will increase resources for the education of low income children and children in state custody.